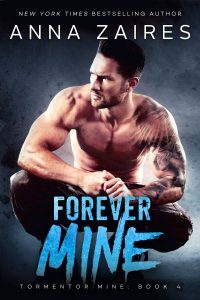 Forever Mine Cover Reveal + Release Date Announcement! I’m so excited to announce that Forever Mine, the highly anticipated conclusion to the Tormentor Mine series, will be available everywhere April 16, 2019! Check out the gorgeous cover above, designed by the talented Najla Qamber, and pre-order your copy below. « Mind Web ist JETZT VERFÜGBAR!